Markets are expanding and boundries are blurring. It becomes imperative for large multi-national organizations to communicate their ideas and beliefs in the most effective manner to engage global employees. The need is to train them in the manner that fits their local cultures, values, and traditions. At FCS Learning Solutions, we help companies to present their products, services, and learning initiatives globally with efficient, cost-effective translation and localization solutions. We help transform the existing training content into cost-effective multilingual learning programs. 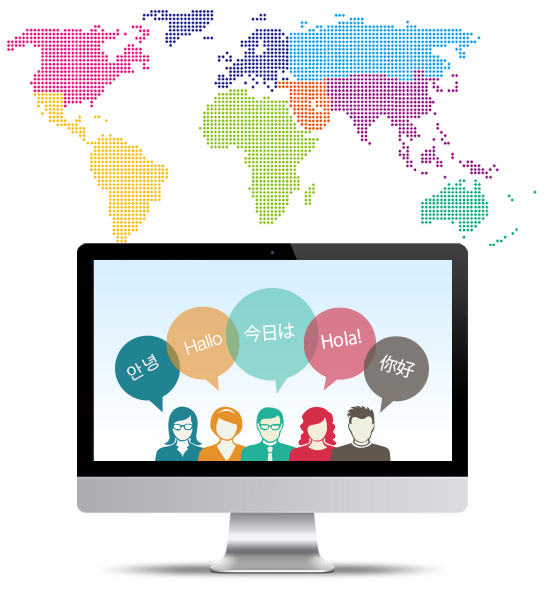 With our team of native speakers and translation experts, we are able to provide all kinds of localization services for eLearning programs. Be it simple translation, or audio narration in native language, or reverse translation, we can take care of all kinds of requirements.